The impulse to connect with others is both a natural response to stress and a source of resilience. When we help others, or ​focus on our bigger-than-self goals, it changes our neurochemistry and physical stress response from one of fear and overwhelm to the biology of hope and courage. McGonigal will explore new scientific insights into both why compassion is an instinct that helps us thrive in the face of adversity, and how social connection can reduce burnout, increase our well-being, and support meaning and growth during times of stress and change. Her talk will draw from her latest book, The Upside of Stress, a controversial and groundbreaking new book that overturns long-held beliefs about stress. It's the first book to bring together cutting-edge discoveries on the correlation between resilience—the human capacity for stress-related growth—and mindset, the power of beliefs to shape reality. 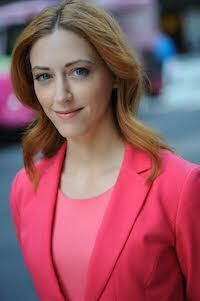 McGonigal’s TED talk on the subject has already received more than 6 million views. Her message resonates with people who know they can’t eliminate the stress in their lives and want to learn to take advantage of it. This talk will be followed by audience Q&A and a book signing. FREE for current UC Berkeley students. Please email greater@berkeley.edu, with "KELLY MCGONIGAL RSVP" as your subject line and indicate the names of the students planning to attend. You'll be asked to present a student ID at the door.